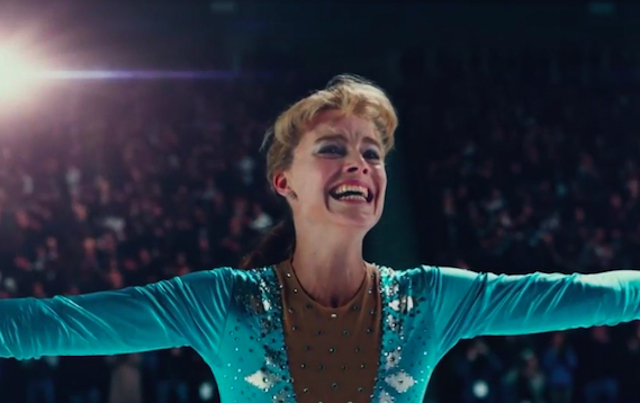 We can see the film straining for critical respectability, while taking a time warp back to the halcyon days of 1994 and the infamous Tonya Harding/Nancy Kerrigan knee clubbing incident. Actress Margot Robbie, in a blatant “give me an Oscar nomination” performance, stars as Tonya Harding, who was widely derided as trailer trash who wandered onto the ice rink. Harding was the figure skater with superior technical skills, but had neither the look nor the attitude to live up to the skating world’s ideas of a winner. Robbie, to her credit, doesn’t try to soften any of Harding’s rough edges, but there’s an air of phoniness about the entire enterprise. Robbie is decked out in bleached blond hairdo and denim jacket, but that’s all it is, window dressing… she can’t quite hide the fact that she’s a gorgeous movie star pretending to be the salt of the earth. The film is shot like a documentary, with periods of action interspersed with talking heads and narration. I am usually receptive to these kinds of things, however for me the technique just highlighted the whole artificiality of the entire enterprise. Allison Janney smokes a whole carton of cigarettes on camera as Harding’s brutal and vindictive mother, who verbally and physically abuses her daughter to toughen her up on the ice. Janney tried to give the character a soul, but she’s ultimately the film’s version of a boogie man, all scowl and cigarette butts. 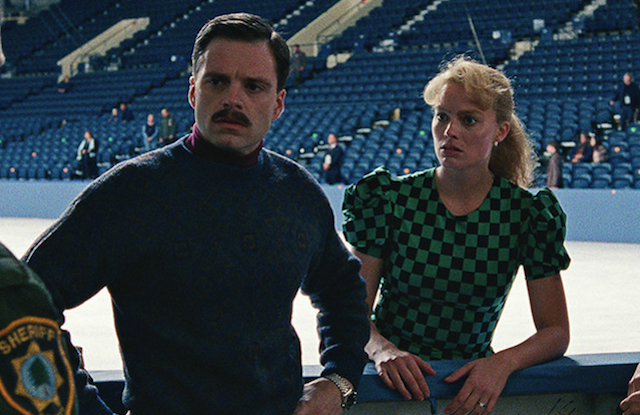 Sebastian Stan portrays Tonya’s ex-husband Jeff Gillooly, whose unfortunate mustache evokes a particular place, but overshadows everything else about the guy who hatched the whole knee clubbing plan of Kerrigan (Caitlin Carver). I wanted to like “I, Tonya,” and there’s no reason that a compelling movie can’t be made about this “truth is stranger than fiction” kind of story. But “I, Tonya” made me question why I was even watching a movie about Tonya Harding at all… in 2017. It neither entertained, nor made me want to reassess prior opinions about a reviled figure from the past, and it never did much more than scratch the surface of a story I wasn’t in a hurry to revisit anyway. The fundamentals are there for an entertaining crackerjack piece of cinema, but “I, Tonya” can’t stick the landing. Submitted by Heather Michaels (not verified) on December 25, 2017 - 12:25pm. Please stop covering Tonya Harding. Nancy Kerrigan is the heroine in this story. She recovered from a terrible attack that could have left her crippled. She went on to win a silver medal at the Olympics. She is a member of the Figure Skating Hall of Fame. She came from a blue collar background and her family struggled to pay for her skating. Her mother is legally blind and could not see her skate, except with a special t.v. screen set up for her by the media. She’s the inspiration in this story for all athletes.